What does intersectional feminism actually mean? You may have heard the phrases ‘intersectionality’ or ‘intersectional feminism’ cropping up more and more lately. 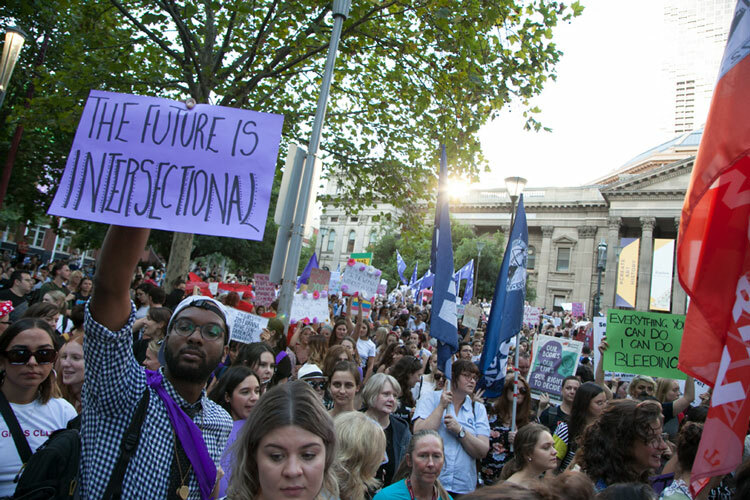 Intersectionality has recently taken on more space in public discussions about feminism, but it’s not new – even if it was only added to the Merriam-Webster dictionary last year. 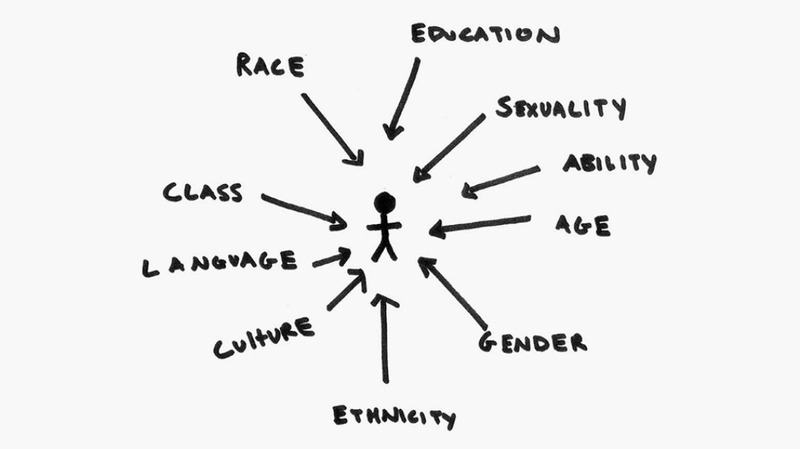 It defines intersectionality as “the complex, cumulative manner in which the effects of different forms of discrimination combine, overlap, or intersect”. To break that down, it essentially means that discrimination doesn’t exist in a bubble – different kinds of prejudice can be amplified in different ways when put together. It’s a critical concept, but one that some people find confusing. Here’s where it all began, how it’s used today, and why it matters to our work. The word itself was first used by scholar and civil rights advocate Kimberlé Crenshaw in 1989. While still a student studying to be a lawyer, she saw that gender and race were looked at as completely separate issues. To Crenshaw, studying them in isolation to each other made no sense. She saw that women of colour, for example, are doubly discriminated against, particularly in law. The 1976 case of Degraffenreid vs General Motors is used by Kimberlé Crenshaw to this day to illustrate intersectionality. Five African American women sues car manufacturer General Motors for racial and gender discrimination. But the courts found that women in general weren’t discriminated against when it came to jobs as secretaries, and the fact that GM employed African American factory workers disproved racial discrimination. It ignored the fact the sheer majority of secretaries were white women, and factory workers were all men. So the women lost. Despite coining the term, Crenshaw is the first to admit that she’s not the first to articulate its true meaning, citing women like 19th century Black Liberation Activist Anna J. Cooper all the way through to living legend Angela Davis, a prominent political activist. As Crenshaw built on these foundations, modern feminists build on hers – today, intersectionality encompasses more than just the intersections of race and gender. It’s now widely used to illustrate the interplay between any kinds of discrimination, whether it’s based on gender, race, age, class, socioeconomic status, physical or mental ability, gender or sexual identity, religion, or ethnicity. The whole purpose of intersectional feminism is to listen to different kinds of feminists – not just ones like yourself. Making your feminism intersectional makes perfect sense to us – your life experiences are based on how your multiple identities intermingle. And we can see compounding forms of discrimination experienced by the women we work with. There are many examples, but here are just a few. DIVA for Equality, for example, tell us that LGBT women in Fiji found it more difficult to access disaster relief in the wake of Cyclone Winston. In Timor-Leste, class and socioeconomic discrimination intersect with sexism, making it hard for poor women to get elected because of the high cost of campaigning in the newly democratised nation. Research IWDA has contributed to in Cambodia shows that women with disabilities are more likely to face violence from immediate family members, and more likely to experience controlling behaviour from partners. Intersectionality is a broad concept, and it’s still one that’s hotly debated in the feminist community. We don’t claim to be authorities on anyone else’s feminism, but to us, acknowledging how different forms of discrimination intersect with and amplify gender-based discrimination is a critical way to ensure all women reap the benefits of women’s rights. Check out our post on how to be an intersectional ally, or take a lot at our top book picks on the topic.